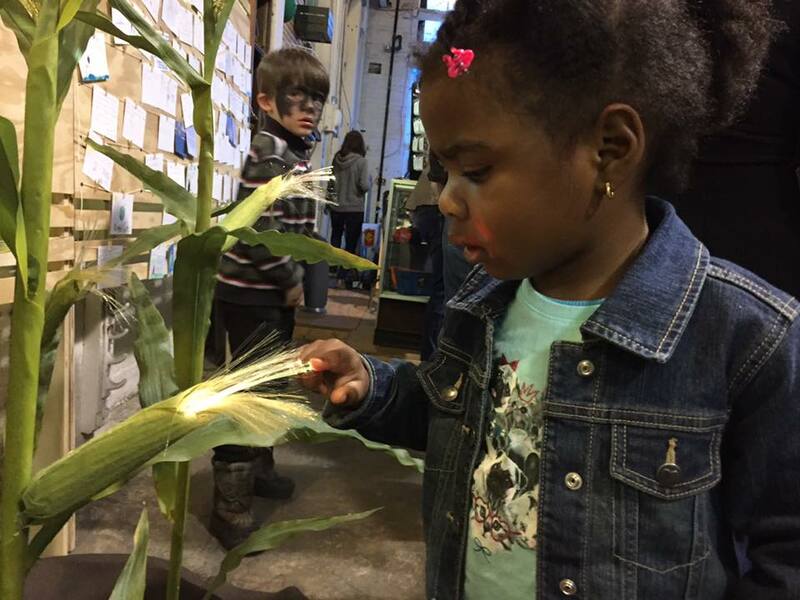 This Unique Hacked Corn is Weather Forecasting #CitizenScience « Adafruit Industries – Makers, hackers, artists, designers and engineers! If you say climate change, most people think about wonky weather and flooding; they usually don’t think about food, which is what led me to create this mixed media art. Because the timeline of seasons is already changing, I imagined how one of Pennsylvania’s number one crops might adapt in the future and came up with the notion of Corn EMO (Electronically Modified Organism). What if corn could sense upcoming weather forecasts, communicate to neighboring plants and prepare itself for the volatile conditions? 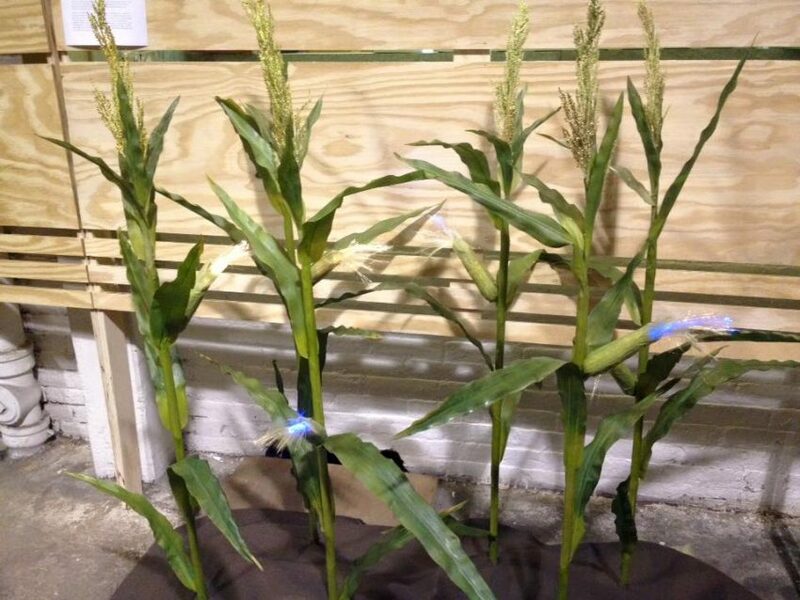 Using faux cornstalks I was able to drill into the “ears” and plant NeoPixels with fiber optic bundles. I used heat-shrink tubing to attach the bundles to the LEDs, which blend well with the existing silk strands. 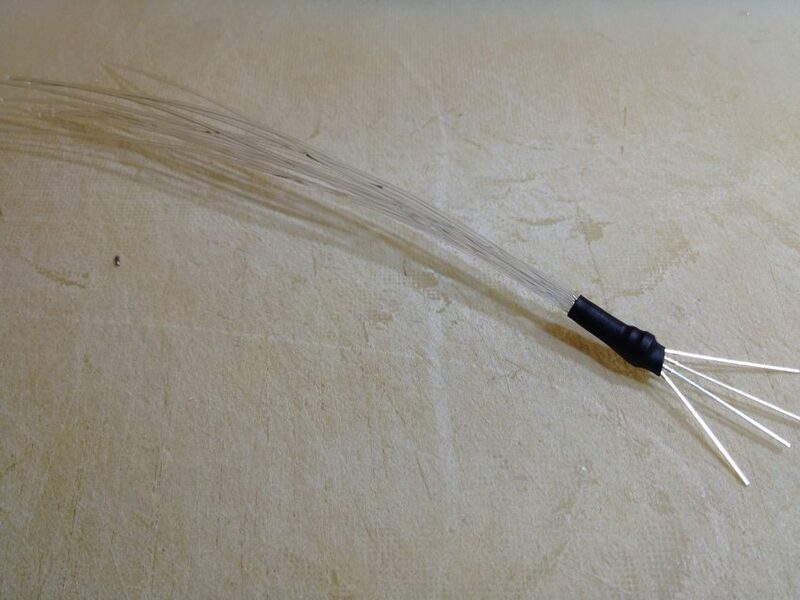 This is the “side glow fiber” which allows you to see light throughout the strand, rather than just the tip. As far as getting weather conditions, I used a Photon Microcontroller which has WiFi capability and linked it through IFTTT (If This Then That). So, the fibers glow a pale yellow unless they are activated by a call for rain, in which case they turn blue. While studying about corn I learned how hail can quickly wipe out a crop. So, I’m thinking of adding another function to allow for that condition as well. This piece was created for the art festival Climate Disrupted in Philadelphia with the goal of engaging the community in conversations about climate change in a fun way. Along with art there was poetry, music and organizations offering climate change tips. So, people had the chance to learn about green roofs, plantings and other energy saving and water mitigating methods. Philadelphia is a city participating in CUSP (Climate & Urban Systems Partnership), so expect to see more climate change workshops and events popping up around the country. One of the things that CUSP does best is to create interactive models for education, including mini houses that show roof heat/insulation, solar energy and stormwater run-off. So, it’s a great way to tie Arduino and electronics into citizen science. Want to create your own model? You can easily tie into weather with a Particle Photon Kit and we’ve got ’em in the shop. It’s got the microcontroller, cable, breadboard and just enough parts to get you started. 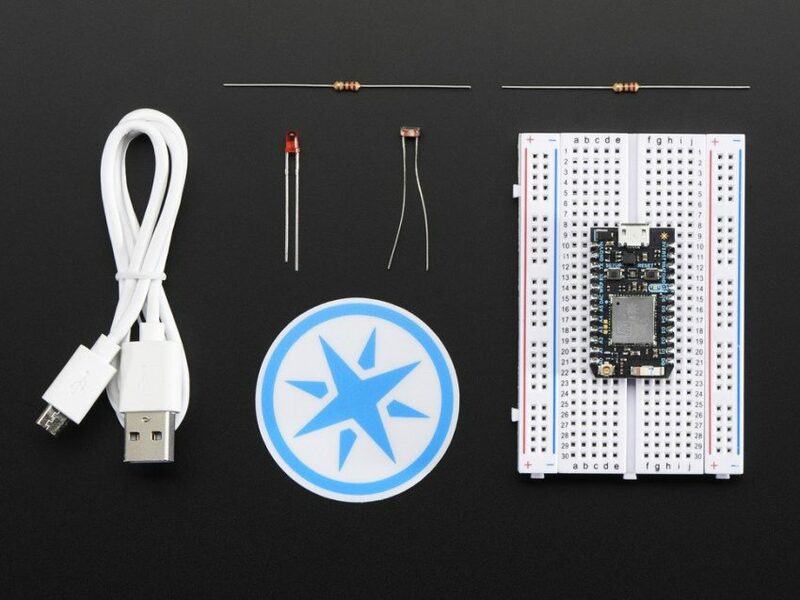 Not only is this Arduino compatible microcontroller tiny, but you can use Particle’s app to program it through your phone. Have you made any cool educational models? Let us know!